Crown Lengthening ProcedureThe "crown" is the part of a tooth visible above the gumline. Sometimes more of the tooth below the gums must be exposed to fill a cavity near the gumline or place a new crown on a broken tooth. 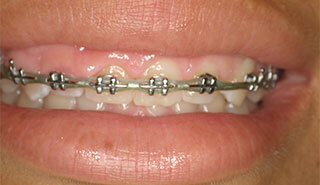 "Crown lengthening" provides more tooth structure for this to be done. This helps to ensure that the restoration can be fitted properly by the dentist without causing gum irritation. 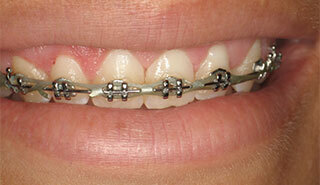 Crown lengthening can also be done to correct a "gummy smile." See the page on Esthetic Crown Lengthening and Gingival Contouring for more information. Procedure: Your periodontist administers a local anesthetic and gently recontours excess gum and bone tissue to expose more of your natural tooth. A few weeks later, the dentist can restore the tooth with a filling or crown with accurately fitting margins that respect the gums by not "impinging" or extending underneath the gums. Lisa has been cleaning my teeth for 30 years. She is absolutely amazing. Extremely personable. Love the entire office.